Scroll down to read this issue! Memories of THE BEE's first 100 years! In 2006, THE BEE celebrated its centennial of serving Southeast Portland! A special four-page retrospective of Inner Southeast Portland's century, written by Eileen Fitzsimons, and drawn from the pages of THE BEE over the previous 100 years, appeared in our September, 2006, issue. Click here to read this special retrospective! The next BEE is our May issue, with a deadline of April 18. INTERESTED IN ADVERTISING? CLICK HERE FOR RATES AND INFORMATION! Want to subscribe to receive the PRINT version of THE BEE? E-mail circulation@CommNewspapers.com -- or telephone 503/620-9797, during weekday business hours. The 12-issue annual subscription rate is $14 per year for addresses located in Multnomah County, Oregon; and $24 for anywhere else in the U.S.(it's based on the differential postage rates for our class of postage). For international rates, inquire via the e-mail address or telephone number just above! The all-new daily PORTLAND TRIBUNE website is updated throughout the day, every day, when news breaks out. Click the banner at left to keep up to date on the banner news throughout the Rose City! THE BEE has a second website -- it's searchable for past stories. The content for the current month is similar to this one, presented in a different format. To visit the other website, click the banner at right! GDPR NOTICE: The owner of this website, www.ReadTheBee.com, collects no information on this site from any reader, and never has. 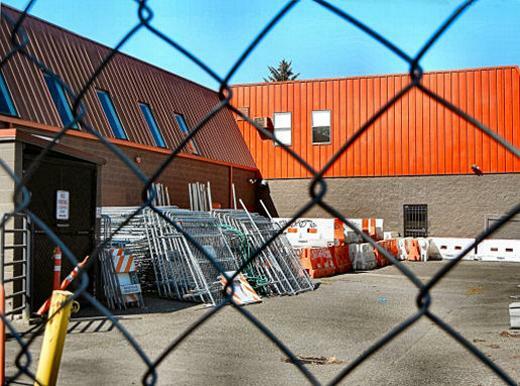 Based on the current Portland Parks & Recreation (PP&R) “Requested Budget Proposal” dated March 6, the storied Sellwood Community Center (SCC) will be shut down in September. This structure is over a century old, and is now listed on the National Register of Historic Places – even as it continues to be in daily use by area residents of all ages. On page four of the Requested Budget Proposal, under the heading “Recreation Services – Proposed Partnerships, Model Changes, and Closures”, the Bureau proposes closing and leasing out the Fulton, Laurelhurst, and Hillside Community Centers. At the Community Music Center, located in the Creston-Kenilworth neighborhood, PP&R proposes “updating partnership agreement with CMC, Inc.”, a nonprofit organization founded in 1960 to help maintain the Center as a City of Portland facility. Under the subhead “Transition and Close” is found Sellwood Community Center – slated to be shut down, forever, in September of 2019. After studying PP&R’s budget documents, the Chair of SMILE’s “Friends of Sellwood Community Center” Committee, Gail Hoffnagle, told THE BEE that she questions the information “leaned heavily upon” in making decisions – including the “focus groups and other data” mentioned by the Parks Bureau Director. 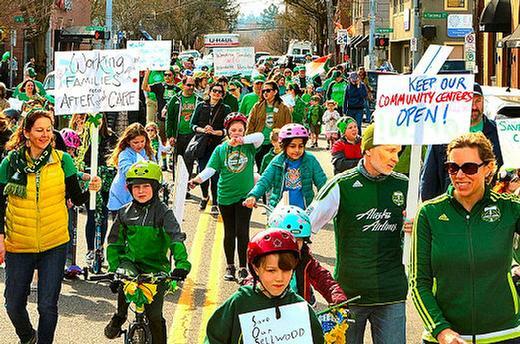 “For working families, the shortage of affordable recreation opportunities in the Sellwood-Westmoreland neighborhood is becoming a critical problem, made worse by the closing of the Sellwood Moreland Boys and Girls Club,” she remarked. Woodstock, the smallest of the Community Centers on the “chopping block”, and the only one without a gym, has been saved – for now – by its supporters, who’ve taken over running programs, and also provide of all the building’s maintenance, making it self-sufficient, Hoffnagle said. “Biking to the Woodstock Center from Sellwood-Moreland would take 27 minutes, and it is a steep climb from Sellwood up to Chavez Boulevard (39th Avenue) along Woodstock Boulevard. Walking to Mt. Scott Community Center would take one hour and 24 minutes. So much for ‘walkable neighborhoods’ in Portland!” Hoffnagle exclaimed. With the population of Sellwood-Moreland burgeoning, mostly from the influx of renters in new apartment buildings – and with more multi-family structures on the way – a local Community Center is needed here more than ever, she pointed out. In the meantime, there appears to be one opportunity at least to watch this plan unfold: “Portland City Budget Community Work Session – Parks, Recreation, and Open Spaces” is on April 9, from 6:30 until 8:30. If you care about how the City of Portland spends your tax dollars on these items, you might want to show up. But if you’d like to try silently to make your point at the meeting, it’s being held at David Douglas High School – North Cafeteria, 1001 S.E. 135th Avenue, 97233. Oregon Public Broadcasting journalist Dave Miller served as the official annunciator – offering up definitions, alternate pronunciations, and etymologies. When one student asked for the meaning of “angst”, Miller recited a sentence expounding philosopher Martin Heidegger’s dreary views on the topic. 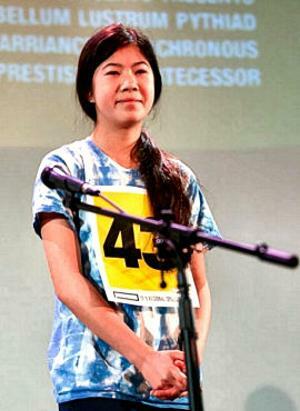 The Spelling Bee is also a bit of a world tour, lexically speaking. Some students heard the bell (and were eliminated) after being challenged by words such as “samovar”, a Russian water kettle; “babushka”, a grandma; “serdab”, an Arabic word for cellar; and “backstein”, a German cheese. Other students stumbled on the layout for the letters of “vermin”, “monotonous”, “prodigal”, “ergonomic”, “koan”, “bayou”, “opossum”, “cachet”, “colloquial”, “tamarind”, “chinos”, and (perhaps a sign of the times?) “Kodak”. He was wanted in connection with a gang shootout and homicide last October in Lakewood, Washington, just south of Tacoma – but perhaps 31 year-old Thomas Earl Cooper, Jr. felt comfortable being in another state while he went for a workout on Monday morning, February 18, at a fitness center on Highway 99E in Brooklyn. He was 300 miles south of the crime scene. But Cooper didn’t know that, on that particular morning, members of the Portland Police Gun Violence Reduction Team had tracked him down – on a warrant for the out-of-state homicide – to the “24-hour Fitness Super-Sport Gym” at 4546 S.E. McLoughlin Boulevard, just south of Holgate. While some officers took Cooper into custody, others located and seized the loaded handgun in the locker he’d been using at the club while exercising. According to the Lakewood Police Department, Cooper was one of five present at a “gang shootout” that left a bystander dead. The victim had come to the Lakewood-area nightclub to pick up his girlfriend after her bartending shift. 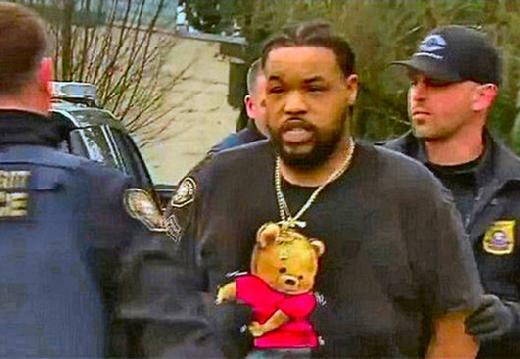 After his arrest, Cooper was booked into the Multnomah County Detention Center (MCDC) at 12:53 p.m. on the Washington State warrant, along with additional Portland charges of Unlawful Possession of a Firearm, and Possession of a Loaded Firearm in Public. Although his combined bail for the Portland gun charges was only $5,000, Cooper is still in jail on a U.S. Marshall’s Hold for the Washington warrant. 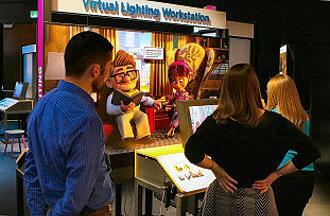 The “Science Behind Pixar” exhibition opened at the Oregon Museum of Science and Industry (OMSI), on S.E. Water Street just north of the Ross Island Bridge, on the east bank of the Willamette River, on February 23. And since then families have been flocking to interact with the technology that supports the creativity and artistry of the moviemaking storytellers. 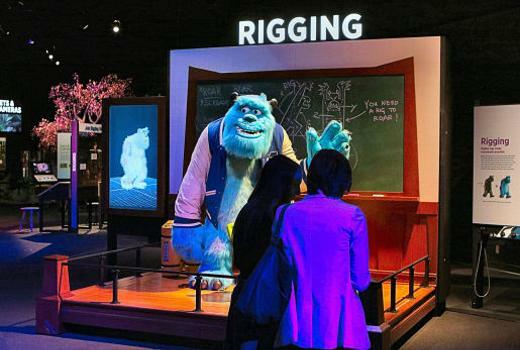 From modeling the imaginary characters through their animation and final rendering, each of the eight steps of stop-action film brought to life in the exhibition that covers OMSI’s two Main Exhibition halls. The news first popped up on social media. “Is the Joinery going away?” someone wrote, and then shared a link to a story about a big building being proposed for the same address that the craft furniture business has had for 22 years. Initial reactions were split between speculations about The Joinery’s future, and worries about the looming development – a full-block five-story apartment building, with 178 units. The word “insane” cropped up more than once as neighbors began to grapple with the concept. People seemed especially concerned about so many more cars being added to an already congested arterial. Members of the Woodstock Neighborhood Association’s Land Use Committee (WNA LUC) brought each other up to speed on the proposal at their February 20th meeting. The committee had just found two new Co-Chairs, Thatch Moyle, a planning consultant who lives and works in the neighborhood, and Les Szigethy, a retiree with a background in construction. Neighbors had contacted both the WNA and the Woodstock Community Business Association seeking more information about the proposal, and Moyle and Szigethy put it on the agenda for the LUC’s March 20th meeting, figuring more would be known by then. 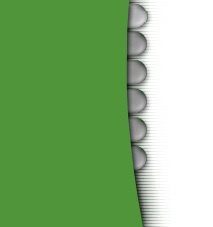 The block in question – bounded by S.E. Woodstock Boulevard to the north and Martins Street to the south, between 48th (across from Woodstock Laundry) and 49th Avenues (across from Woodstock Library) – is fully owned by Marc Gaudin, who founded The Joinery in 1985. Initially based at SE 10th and Division, Gaudin moved The Joinery to its Woodstock location after buying the building from Bill Gander of Standard TV and Appliance in 1997. At that time, he let the owners of all the homes on the block behind The Joinery know he was interested in purchasing, and within ten years he owned every property on the block. Gaudin proceeded to remodel these houses via The Joinery, which provided work for Joinery employees during a lean year. Five and a half years ago, “after producing $50 million of furniture, I thought it best to sell and retire,” says Gaudin. After selling his business to Jon Blumenauer, he continued to lease the building to The Joinery, while entertaining ideas for future full-block development. Several developers approached Gaudin with unsolicited proposals that didn’t interest him; but finally a company called Mill Creek Residential came knocking with a plan that resonated with his own vision. According to Gaudin, The Joinery had passed on an option to purchase the block, a decision he felt he understood, as the founder and former owner of the company. He pointed out that the current Joinery building is unreinforced masonry, and would likely be very expensive to remodel to the city’s new earthquake preparedness standards. Also, in his opinion, Woodstock had never been the best market for the high-end furniture store. While Blumenauer said business has been fine in Woodstock, he confirmed an employee’s assertion that The Joinery was growing, and needed a much larger shop facility to sustain that growth. With the current lease term expiring in October 2019, he has been weighing the option of renewing for five years, against pulling up stakes and moving both shop and the showroom to a different Portland location. Blumenauer emphasized that the main driver of The Joinery’s decision-making process is “financial feasibility”, and it appears a different location is apt to be much more economically feasible for the business than staying in Woodstock. He confirmed The Joinery was in the process of checking out a promising site in the St. Johns neighborhood (among others), but said it is premature to announce any plans or give formal notice to his landlord. He said he expected to be able to firm up his plans within two months. With a nod from Gaudin, banking on the inevitable, Mill Creek directed Leeb Architects to begin moving the Woodstock project forward on their behalf, leading to the present “early stage” – where public notice is required. The opportunity was initially brought to Mill Creek’s attention by a real estate broker who apparently knew something about The Joinery’s lease situation. Another factor in the timing of the development is a zoning change enacted with the June 2016 adoption of the city’s 2035 comprehensive plan, which facilitates full-block development for this property, along with a handful of others along Woodstock Boulevard. So even though the development appears to be going forward, no one can yet say the project is a “done deal”. Despite the project having gotten this far in the planning phase, Leeb made it clear at the pre-application conference that the project is in the “very early stages” of design work. The plan’s concept drawings seem to depict a fully designed edifice, but he said it is really just a “placeholder”, outlining the basic form, footprint, and height of the building, with many design details yet to be determined. A few basic details emerged about the proposal in the March 5th pre-application conference, and in subsequent conversations with developers: The structure of the building will be comprised of a concrete basement with wood-frame residential construction above. The basement will have parking spaces for 130-140 automobiles, with the entrance and exit planned for 48th. Above that will be 7,000 square feet of commercial space on the ground floor facing Woodstock, plus four to five floors containing about 178 residential apartments in various configurations, with a number of “affordable” units included. The height of the building will be capped at 45 feet. Along Woodstock Boulevard, the building footprint will not extend any further than the current Joinery showroom, so as to retain the wide pedestrian way. There will be additional setbacks at the back end, as well as “step backs” at the height of 35 feet to soften the face of the building where pre-existing residential developments are located across the street (i.e., the full length of Martins, as well as 50 feet on 49th and 100 feet on 48th). To meet the city’s requirement of 15 percent overall landscaping, the building will feature plantings where the building steps back on 48th and 49th, and an open courtyard in the middle for use by residents, as well as the usual street trees required to replace trees lost to development. Due to past complaints from too many city residents caught unawares of big developments impacting their neighborhoods, the City of Portland now requires applicants to present project plans to the neighborhood in which they plan to build, before submitting the permit application. At Leeb’s request, the Woodstock Neighborhood Association scheduled a public meeting, which has been set for Thursday, April 11, at 7 p.m. at All Saints’ Episcopal Church, 4033 S.E. Woodstock Boulevard. With representatives of Leeb Architects and Mill Creek Residential presenting and being available for Q&A during this early stage, this is the ideal time for anyone in the neighborhood who wants to voice concerns or convey ideas to the project design team about the proposal. Mill Creek Development Associate Cassidy Bolger told THE BEE that their team was looking forward to the April 11th conversation with Woodstock neighbors, and will definitely take people’s comments into consideration in their design process. In the end, however, as attendees at the city’s pre-app conference were reminded by BDS Conference Facilitator Jean Hester, this is a “by right” development – meaning that as long as property owners follow the rules set out in city code for the designated CM2m (MU-N) building zone, they will be allowed to build their project. 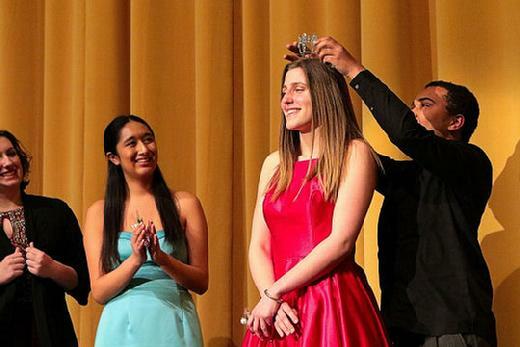 At the end of the school day on Monday, March 11, the Cleveland High School (CHS) auditorium was filled with cheering students, awaiting the naming of their 2019 Portland Rose Festival Princess. Then Cleveland’s 2019 Court members, Sophia Mecklem, Abigail Kempter, Isabel Gibson, and Lindsey Hausafus glided gracefully to center stage. 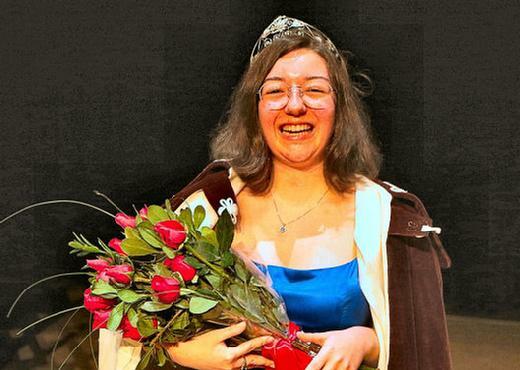 After introducing the Portland Rose Festival Foundation officials present, CHS Vice Principal Kristy Mize didn’t keep the crowed waiting – and introduced Lindsey Hausafus as the student who’d be representing their school this year as Princess. After CHS Student Body President Peter Predisik placed the tiara on Princess Lindsey, she walked forward and waved her thanks to the cheering students. After the ceremony, Princess Lindsey told THE BEE she’s from Eastmoreland, and attended Duniway Elementary School and da Vinci Arts Middle School, and will now be graduating from Cleveland this year. “My Court, they’re so wonderful!” she exclaimed. “Behind the curtain, before we went on stage, we were talking and dancing together to relive some of the stress we were feeling. They’re so supportive, and I’m so happy have been able to go through this experience with them. “Because I volunteer a lot here, I look forward to representing the Cleveland Warriors outside the Portland community, as I travel with the group of ladies [the other schools’ Princesses] who are as passionate about our city as I am,” she said. She remarked that she loves the Starlight Parade – and, because she’s never been a participant, looks forward to being in that one, as well as the Grand Floral Parade. After the festivities this spring and her graduation, Princess Lindsey plans to attend the University of Oregon, and then pursue a postgraduate degree at OHSU Medical School, hoping eventually to practice medicine within the Pediatrics or Anesthesiology fields. Portland Rose Festival Foundation officials gathered at Franklin High School before the announcement of the young woman who would become the “Princess” representing Franklin High School in this year’s Rose Festival. The date was March 13, and the stage was set for the presentation. Franklin’s Princess Court candidates Christina Liu and Wren Helzer-Florer were escorted to the stage. Last year’s Franklin Portland Rose Festival Princess Amaya Gustave placed the tiara on the head of Princess Christina, while the Principal, and Vice Principal Scott Burns, wrapped a regal robe around her. Princess Christina attended Creston K-8 School before attending Franklin High, from which she’ll be graduating in June. Comments? News tips? Click here to submit! Trying to remember or locate a BEE advertiser? Click here to e-mail us, and we'll help! Fair warning: We have so many great photos on page 2 this month, it may take a while to load on slower connections! If that applies to you, click the link below, then go get refreshment, come back, relax, and prepare to enjoy what we have for you on page 2! READY TO TURN TO PAGE 2 -- FOR "MORE NEWS"? Click here! Note to readers: At some point, this, our original Internet website, will be replaced at this web address by our new website, as part of the Community Newspapers group. At that time, you will still be able to access this long-established and smartphone-friendly website, if you save this address: www.readthebee.mobi. You'll still have your choice of which one to visit! Entire contents © 2019, THE BEE; all rights reserved.